Join us for a cup of coffee or a drink at booth 1.72 to learn more. Drop by our booth for a talk and learn more about how we can help you in your daily work. 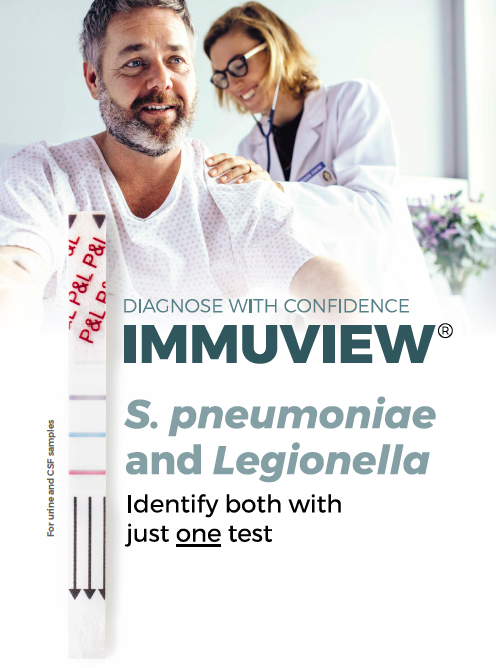 ImmuView® S. pneumoniae and L. pneumophila is the only antigen test able to identify both S. pneumoniae and Legionnaires’ disease at the same time – with just one test. Quick, accurate and easy diagnosis is vital. S. pneumoniae is the leading cause of community acquired pneumonia, and L. pneumophila causes costly hospital and ICU admissions. Not only that, the two diseases are difficult to tell apart – a huge challenge, as treatments for each disease are so different. That’s why medical guidelines recommend double testing. You probably have a lot of questions about ImmuView®. We have the answers. 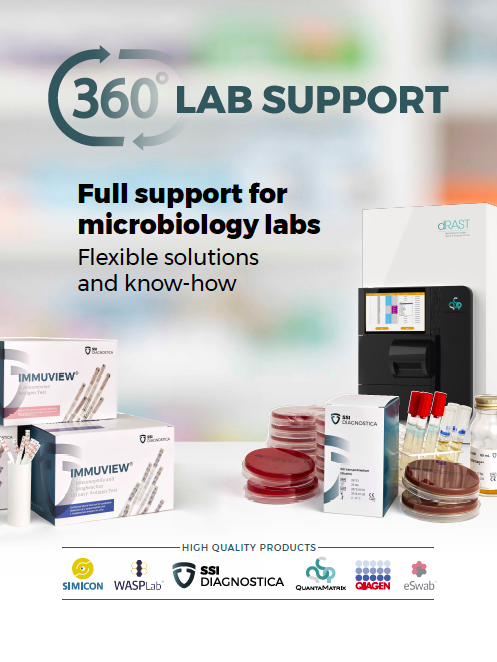 And we’d love to show you how easily you can take your testing to a new level of convenience, speed and accuracy. Watch a demo at our booth. ImmuView® - diagnose with confidence.